The rules or standards governing the conduct of a person or the conduct of the members of a profession. You recognize the face, right? He’s what’s commonly known as a “media darling.” Whenever Katie or Matt or Larry or Charlie or Diane (don’t even get me started about Diane Sawyer and her history of interviewing people involved in end of life decision-making cases) or __________ (insert name of some other anchor or commentator) needs a “bioethics” “expert,” there’s good ol’ Art, opining in living color. He loves to throw, as Pamela J. Hennessy describes them in her editorial below, periodic bioethics jamborees. Trouble is, they’re not usually fair and balanced events at which both sides of an argument are presented. He’s got another coming up, about which Pamela wrote so brilliantly and accurately. Art and I have a history. Specifically, way back in 1995 when the Wendland case was just beginning, I needed to find an expert to testify. More to the point, I needed, as I learned then, a “bioethicist.” I had never heard of such a person. Neither, at that point in time, had most of the country. But in the aftermath of Wendland and Schiavo, we’re all a lot smarter and some of us have stories to tell about our dealings with the pack of folks in this country who have labeled themselves “bioethicists,” most notably among them, Art. I was referred to Art by my pastor at the time, a fellow who had recently come to Lodi from a large church in Minnesota where, being smarter than most Americans were back then, he had organized and hosted a symposium at which Art had spoken. He had really impressed my pastor who was kind enough to make introductions, etc. So I had a number of lengthy discussions with Art about the case, Robert Wendland’s condition, prognosis, my clients’ positions on various issues, and, most importantly, my legal strategies and how his testimony would be an intricate part of them. After considering all of the above, Art agreed to testify as an expert on my clients’ behalf. Let me elaborate: Art agreed to testify for the folks who were trying to prevent a disabled person, who was not in a persistent vegetative or comatose state, or terminally ill, but had prepared no written advance directive prior to becoming incapacitated, from being dehydrated. Somewhere in a box, piled in a stack of more boxes than I want to actually count, all of which are sitting in my garage, is my file on Art with my notes from our conversations. And in that file is a first-class plane ticket bearing Art Caplan’s name that he never actually used. It is the ticket he insisted I purchase for him in exchange for him providing his testimony: A seat on a red-eye flight in first class from Philadelphia to San Francisco that cost $1,800. I remember it distinctly because I recall the fit the managing partner at my then-law firm threw over the cost. Art wanted no expert witness fee — he agreed to testify free of charge — but demanded that he fly out to California on a red-eye flight in a first class seat so that he could sleep comfortably en route, arrive early on the morning he was to testify, and go back home that night the same way. The initial trial date was moved up. Art never came to California. The ticket stayed in my file. And we kept talking periodically about strategy, what the substance of Art’s testimony would eventually be, etc. The trial was, in fact, postponed many times before finally commencing in October 1997. Somewhere along the line (I can’t remember exactly when without heading out to the garage and digging through all those boxes to find my file with my notes in it which I’m not about to do), I called Art to notify him of the newest trial date and advise that it would be time for him to use that plane ticket. And it was then that he informed me that he was no longer willing to testify. I will never forget that telephone conversation. Why? Because that’s the very first time I ever heard the name “Ron Cranford.” I had never heard of “Dr. Death” before. And I distinctly remember coming out of my office after talking with Art and telling the other attorneys in my firm about the astounding conversation Art and I had just finished. None of them had ever heard of Cranford before, either, but they were all shocked by Art’s conduct. You see, Art informed me that he had spoken to Cranford, found out that Cranford was going to testify on befalf of Rose Wendland in her quest to bring about Robert’s death, and, in light of his discussions with Cranford, he decided he could no longer serve as my expert witness. Now there are a few things that you need to know about America’s “bioethicists,” if you don’t already: They travel in a pack like a bunch of wolves and nobody who wants to remain in good standing steps out of or away from the pack to challenge, contradict, or disagree with the leader, Ron Cranford. I lost count of the number of these purported experts I spoke with . . . I think at some point I was up to 35 before I just quit counting and eventually gave up looking for a witness altogether. And the number of hours I spent in this endeavor? Fuhget about it. I don’t even want to think about that or the frustration level. 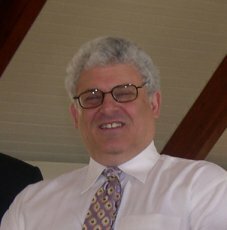 I was blindsided one day during trial when the other side attempted to put on expert testimony during which the witness invoked Art Caplan’s name. Experts are asked to give their opinion and reveal the sources they rely upon as the basis for that opinion. When I was writing this entry the other night, I was trying to remember definitively which witness tried to invoke Art’s name without having to go digging through those boxes in the garage for the trial transcripts. One of the primary bases for his testimony that Cranford attempted to invoke was his discussions with none other than Art Caplan! I know that Wesley’s recollection is accurate because I distinctly remember Cranford insisting that Art had never agreed to testify, and I was absoutely livvid that I was being called a liar! Key was the fact that those discussions took place well after Art and I had spoken at length on a number of occasions. Therefore, all conversations I had with Art were protected and no other expert witness was entitled to rely upon any information obtained from Art which could be traced back to Art’s conversations with me. To do so would constitute an ethical breach. Even more astonishing was the fact that Art denied ever having agreed to testify on behalf of my clients. Fortunately, Judge Bob W. McNatt knew me well enough to know that my representations to the court could be counted on because I had never mislead him or misstated the facts on any occasion in the past. He believed me when I asserted, as an officer of the court, that Art Caplan had agreed to testify as an expert for my clients — and I had that plane ticket to prove it. And he correctly barred Cranford from testifying any further on that point. Ultimately, the trial went forward and my clients won. I guess I could just gloat here about the fact that not only did they win, that victory was secured without the necessity of my ever making an opening statement or calling a single witness to the stand, so, as it turned out, we didn’t need Art or any other “bioethicist’s” testimony, anyway. But I think the victory is actually the least interesting part of the story. The details of how it was achieved — and the obstacles overcome along the way — are far more interesting. And if you are thinking of attending any conferences, seminars, symposiums or similar “jamborees” put on by America’s “bioethicists,” you might want to review those definitions again before forking over your enrollment fee. The best part, Janie, was that the person offering the hearsay opinion of Art Caplan was none other than Ron Cranford.